Trained as a painter, Marinot turned his attention to the medium of glass in 1911 when he experienced a dramatic artistic epiphany while visiting the glassworks of his school friends, the Viard brothers. Marinot was immediately fascinated by the character of molten glass and began to design models that he then enamelled himself, applying his training as a painter to this new medium. 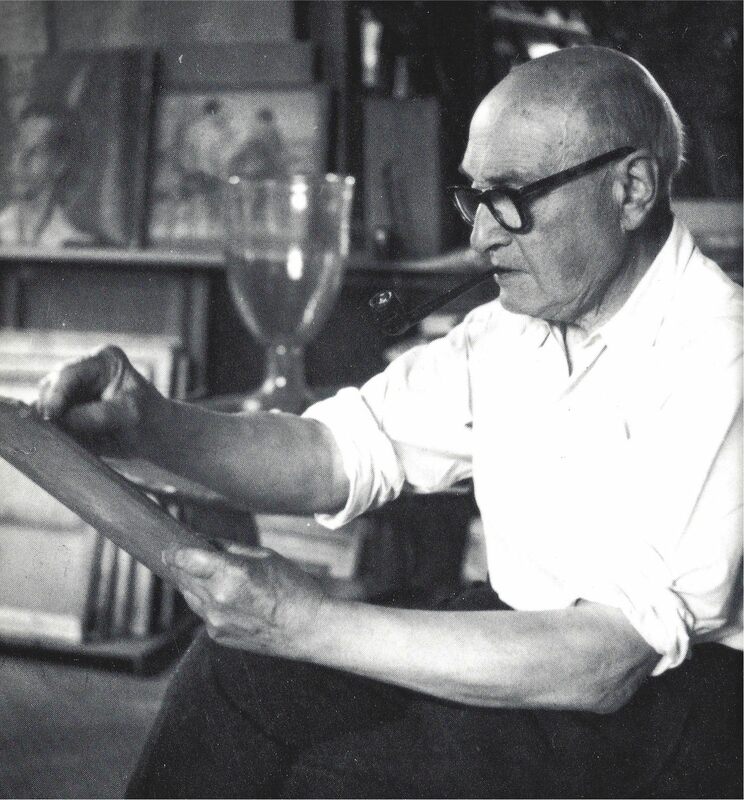 Working in the Viard studios, he became ever more closely engaged with the intrinsic qualities of glass itself and was soon working at the furnace, and becoming bolder in his approach. 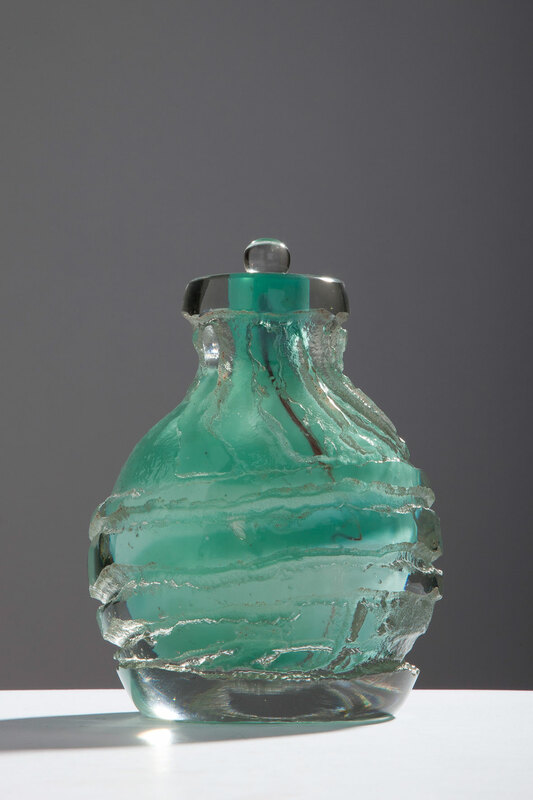 He started to experiment with the imperfections he found in glass, exploiting to artistic ends the random bubbles, for example, that would normally have caused a piece to be rejected. From 1922 he abandoned surface decoration to concentrate exclusively on the potential of the vitreous mass. 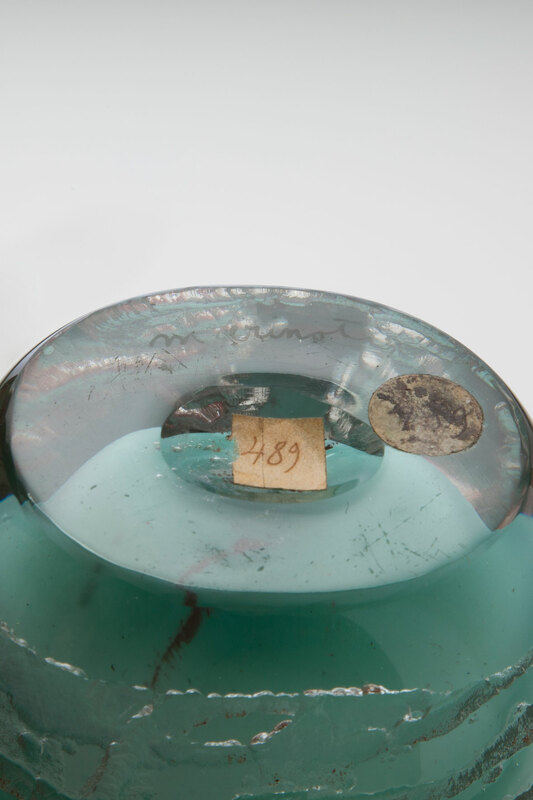 He trapped colours between thick layers of glass, mastered the control of flights of air-bubbles, and etched deep into the surface with acid to achieve an effect of rough-hewn ice. 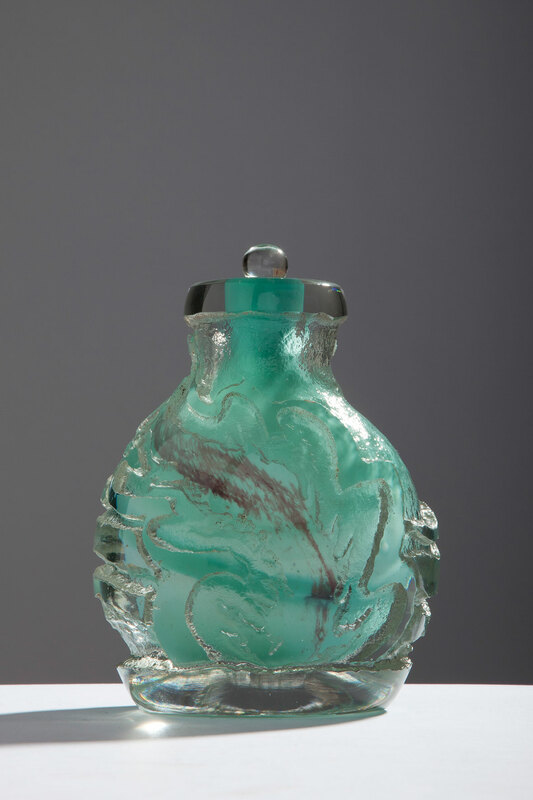 The vessels that bear his signature - vases and most frequently flacons with tiny stoppers - were entirely his own creations, from the design and chemical research to the furnace and finishing stages. An idea might take up to a year of experiment and effort before he was satisfied with the eventual result. Each survivor of his challenging procedures was unique. Baron Robert Philippe de Rothschild (1880-1946), father of Elie de Rothschild and grandfather of Nelly and Elisabeth de Rothschild, was a partner in de Rothschild Frères with his cousin, Baron Edouard Alphonse de Rothschild. He and his family lived at Chateau de Laversine, near Chantilly, and at the family mansion at 23 avenue de Marigny near the Elysée Palace in Paris.